Remember the Fall Into Reading challenge? And how it is no more? 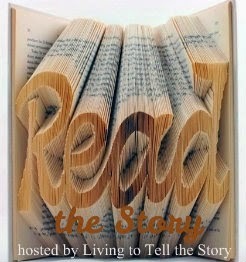 Well, Suzanne at Living to Tell the Story has decided to host this challenge (renamed) and I just must participate. Remember how I said that I wasn't getting very much reading time lately? That's still somewhat true (a bad back has increased my reading this past week though!). Although I may not accomplish a TON with this fall reading challenge, surely I can accomplish something. I've been more impressed this past week that the reading year is coming to a close and there are some goals that I would like to hit before we wave goodbye to 2014. With that in mind, I'd like to sort of "map out" my reading plan for the remainder of the year to help keep me focused. Here are a list of some books that I definitely want and/or need to get to in these next few months. 1. Atlas Shrugged , by Ayn Rand. I sort of want to laugh and cry when listing that one. Let's just laugh. Anyway, Shonya threw that title out for my Facebook Reading Challenge in which I said that I would read the first six books that the first six people suggested. 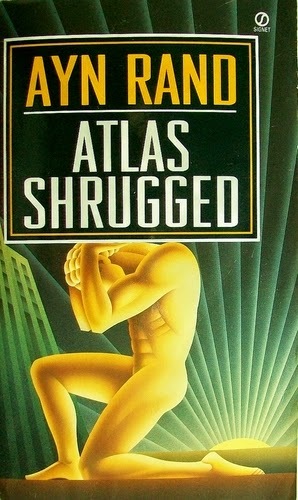 I bought a copy of Atlas Shrugged (used on Amazon) and so I would like to get to it to complete the FB challenge. By the way, I plan to reissue the same challenge next year so if you follow the Reading to Know Facebook page you can prepare yourself to speak up quickly! 2. 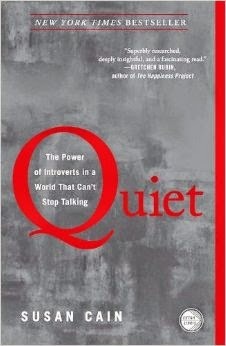 Quiet: The Power of Introverts in a World That Can't Stop Talking was put forward by Amber M. for the same FB challenge. I just picked this one up on the Kindle this morning and read through the Introduction. I'm on my way, people! I'm. on. my. way. 3. I will also read Redwall (Book 1) which Stephanie from Simple Things recommended. I'm halfway through with this one at the time of this post and am enjoying it immensely! 4. 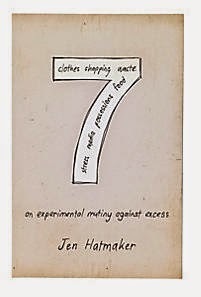 Stephanie from Everyday Family Living asked me to read 7: An Experimental Mutiny Against Excess , by Jen Hatmaker so I shall do that also. Actually, I'm really curious about this one having recently begun the project of clearing excess from our home. I'm hoping to find this book very, um, inspirational. 5. 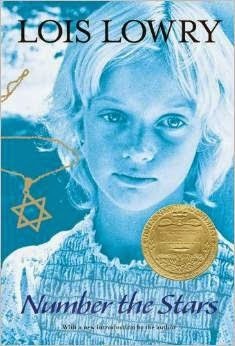 Lastly (for the FB challenge), Amy from Hope is the Word gave me the title So Brave, Young, and Handsome , by Leif Enger to read. I'm rather looking forward to that one. Moving on then, there's the Reading to Know Classics Book Club and a few more titles to read there. 6. In October we'll be reading How I Know God Answers Prayer The Personal Testimony of One Life-Time , by Rosalind Goforth. It should be noted that this book is only 86 pages and is free on Kindle. What's your excuse to NOT read it?! 7. Number the Stars , by Lois Lowrey is the November read and the discussion is being led my friend Heather. 8. 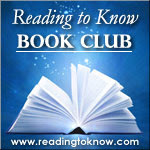 December is Annette's (from This Simple Home) month to lead the discussion and she chose To Kill a Mockingbird which will be a re-read for me. After that, there are books that I've purchased to read and would like to actually do so. 9. Lady Catherine, the Earl, and the Real Downton Abbey which Jonathan bought for me some time back and which I would really, really like to get to. 10. 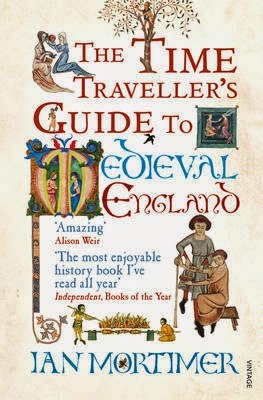 The Time Traveler's Guide to Medieval England: A Handbook for Visitors to the Fourteenth Century which looks so fun. 11. Girl Sleuth: Nancy Drew and the Women Who Created Her which I picked up at a local used book store because I lacked the ability to resist. Then, of course, there are the books which I would like to read with the kids before the year is out. 12. After Peter Pan it's a toss up. I'm debating whether or not we have time to read three more books together before the year is out. If that were to magically be the case, I think I'd go with The Secret Garden first. 13. 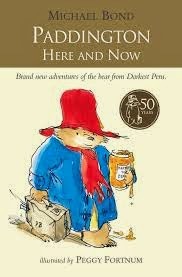 Next I'd like to read another Paddington Bear book, given that there is a new Paddington movie being released at Christmas. Have you seen the trailer for it? We've watched it a few times. Let's just say that the boys are greatly amused and if the movie follows form, we'll be having a grand old time at the theater over the Christmas holidays. 14. Lastly, I think I would like to read them Dickens' A Christmas Carol in full this year. I see no reason whatsoever not to. And then when we're done we can watch the Muppet version as well as my personal favorite - Mickey's Christmas Carol . Beyond that I'll just read whatever it is that I can squeeze in and enjoy. Many thanks to Susanne for being willing to step in and host this challenge. It surely does help me "number my days" and make a plan. I'm realizing more and more that if I don't plan for it, it's likely not going to happen. So here goes . . . If you'd like to participate in this Fall Reading Challenge and share your list with the group, go HERE to learn more from Susanne and also to link up! Your link worked. Yay! I have to say that was most brave of you to throw out that kind of a challenge on facebook. I don't know if I would have the guts to do that. Your list looks varied and interesting. I would pick up Number the Stars for the cover alone. It's lovely. I've read To Kill a Mockingbird. And the Excess one sounds mighty interesting too. Looking forward to your reviews. I didn't know there was going to be a Paddington movie. I need to add that to our list before it comes out on DVD. Good luck with Atlas Shrugged! 1200 pages! Whew! 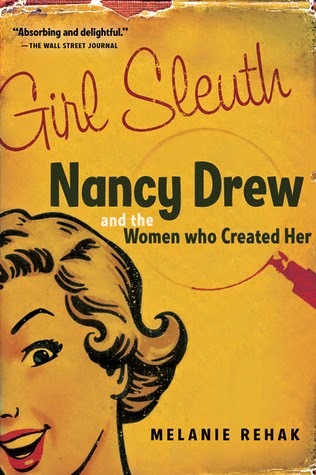 I look forward to hearing your thoughts on the Nancy Drew book. Looks like it might be a fascinating read. Oh, and tonight I'm downloading my Kindle copy of How I Know God Answers Prayer. Yay! Great list of books! I've added Number of Stafs to my TBR. The trailer for Paddington is hilarious! I don't think I'd want to throw out that kind of challenge, either. 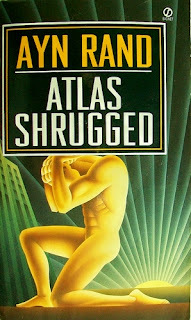 :-) I'll be interested to see what you think of Atlas Shrugged. I keep seeing it here and there but when I've looked into it a little it looks unappealing. To me, anyway. There must be some reason it's considered a classic. Interested to see what you think of Quiet, too. I wouldn't endorse just every little point in the book, but it did help me to understand myself a great deal. TKAM will be a reread for me, too. Re my first sentence - I was talking about the Facebook challenge, not Susanne's. :-) I have more than enough books that I want to read to take on someone else's list - though I am always open for suggestion. I am most curious about "Quiet," having seen that one recommended as well. And "7" sounds interesting. Hmmm....I didn't know there was a "Paddington" movie either.